One of our candidates who has been registered with us for years who regularly gets in touch has recently been in touch to tell us that due to no fault of his own he has been unable to work for the past 4 months because of problems with the Legal Services Commission and a firm he had agreed to lodge his duty slots with. In May this candidate signed a CDS12 and submitted it to the Legal Services Commission for a specific firm in London. In June he discovered that the firm had had their contract terminated, reasons not known, and as a result the CDS12 was rejected. He spoke to the Legal Services Commission who informed him that there was nothing they could do because the deadline had gone and that he would have to work for another firm as a duty solicitor. The candidate tried explaining to the Legal Services Commission that a duty solicitor without slots is not much use to anybody and the Legal Services Commission helpfully suggested that he could apply to go on the back-up list for duty work. When the candidate asked for the reasons why the firm had had their contract terminated, he was informed that it was confidential information as the firm have appealed the Legal Service Commission’s decision. Fortunately the candidate has a clause in his contract with the firm that says that if the slots were not awarded to him the firm would have to pay him a retainer, and there is currently litigation ongoing as of course the firm have denied liability and claimed frustration of contract. A few interesting points arise out of this sorry tale in that firstly the way the contracts are organised means that although duty solicitors get slots on rotas according to the area they are based in and the firm they are with, they are totally dependant on the firm’s contract as for the next year at least, firms can only be on duty solicitor rotas in the areas they contracted for. Furthermore, a duty solicitor seems to own their own slots in one sense but are dependent on the financial stability of the firm they work for in order to work and do not have any freedom really to simply work their slots themselves or transfer them to another firm. There must be an issue somewhere in all of this of restraint of trade as the Legal Services Commission have effectively tied duty solicitors to firms for six month periods and prevented them from moving? Furthermore, it was interesting to note that whilst the Legal Services Commission were happy to extend deadlines to allow more applicants when it suited them, they were very rigid with this candidate as to apply their own rules of deadlines for refusing to let him put slots with another firm following the demise of the contract of the firm this candidate had signed with. The Legal Services Commission and Legal Aid system appear to have descended into an almighty sorry mess and I wonder whether it is time just to put the whole thing out of its misery and try a public defender service that is not overrun by a couple of law practices who appear to be sweeping the crime market with the senior partners making rather a lot of money out of the Legal Services Commission’s inability to understand the workings of law firms. One of the main problems crime solicitors have is that most of the firms appear to be operated by senior partners who have had to work harder and harder to make a good profit out of the dwindling payments, and this has almost always resulted in cutthroat operations with firms constantly competing against each other. Years ago I can remember being sat in a meeting of crime solicitors in Nottingham who were discussing the new contract provisions coming in at the time and trying to work out who was going to make a stand and refuse to sign and who was going to sign. It was pretty obvious that the larger players in the city were going to sign come what may regardless of their protestations at the meeting, and that anyone who did not sign would simply lose their contracts and the larger firms would gain contracts. Lawyers have a problem when trying to oppose any government decisions because most senior partners are businessmen and if they sense the chance to make money they will do. This means that there is no collective opposition at any time to anything as there is always somebody very happy to step into the breach and make significant sums of money at the expense of everyone else. Perhaps this is why a public defender service may be the way forward, although obviously as a recruitment consultant it is the last thing on earth that I would want! Similarly the standard of service of the PDS was apparently pretty shoddy and rather expensive. 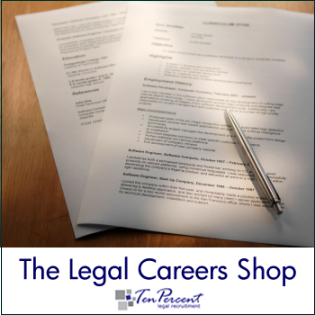 Jonathan Fagan is Managing Director of Ten Percent Legal Recruitment. You can also visit our www.legal-recruitment.co.uk website for further details of our online journal.